Have you felt the weight of surmounting things that you cannot fix? For me, there are many things on my mind today. There are reports of people hurting because of a recent hurricane. When I got home today, I recieved word that my cousin’s wife who has cancer is in her last 24 hours on this earth. One of our son’s flew to another country today. Yesterday, a close friend found her pet cat who had been lost. He was injured and died at the animal hospital. A friend told me she is getting a divorce. The problems are often big and we are always, in reality, small. I am thankful that He allows us to come to Him in prayer about our problems. We are under His care. If the weight you bear is heavy today, run to the Shepherd. We arrived at the ball game thinking that it would rain. With umbrellas in tow, we walked along the concrete area near the stadium. There was a cross near the entrance. The gray clouds behind it were tall with an opening filled with the sun’s rays. 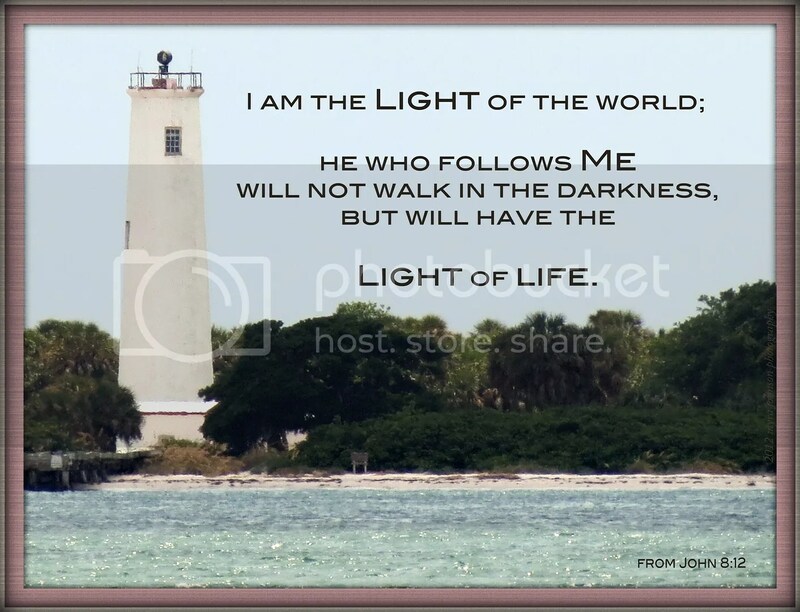 Because of Jesus, there is hope and light amidst the darkness. 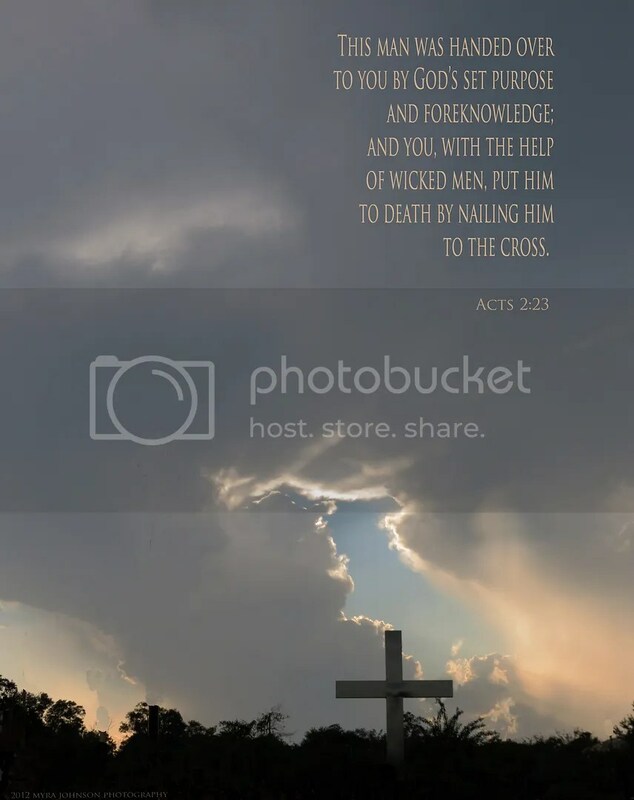 This man was handed over to you by God’s set purpose and foreknowledge; and you, with the help of wicked men, put him to death by nailing him to the cross. But God raised him from the dead, freeing him from the agony of death, because it was impossible for death to keep its hold on him. While at work the other day, I noticed a giant bee creature on the outside brick of a building. It may have been almost two inches long. I quickly went inside to get my camera. Taking a few up-close and risky shots, I feared he might decide to pay back my curiosity with a sting. I only hoped I was capturing his likeness clearly. Alerted to my presence, he flew to a nearby tree. After a few more photos, I left him there, clinging to a branch. I also left him not really knowing what I was leaving. I had never seen anything quite like him. Searching the internet for types of bumblebees in my area brought little results. Unless I choose to spend what possibly could turn into a considerable time looking, I doubt that I will ever know. It will probably remain an unanswered question. the what questions and the why questions. Each brings about their own set of challenges. In fact, often when the question of what is answered, it is quickly followed by why. Sometimes, the answers are readily available if we know the proper source to consult. At other times, though we try our best to find out, we are left only with questions. It is at these times that we must ask God. He does not tell us to refrain from asking, yet, in His sovereignty, He decides what answers He will give. According to the Bible, God gave great wisdom to King Solomon. When the Queen of Sheba heard of his extraordinary gift, she embarked on a journey to meet him and see for herself what had been told of him. 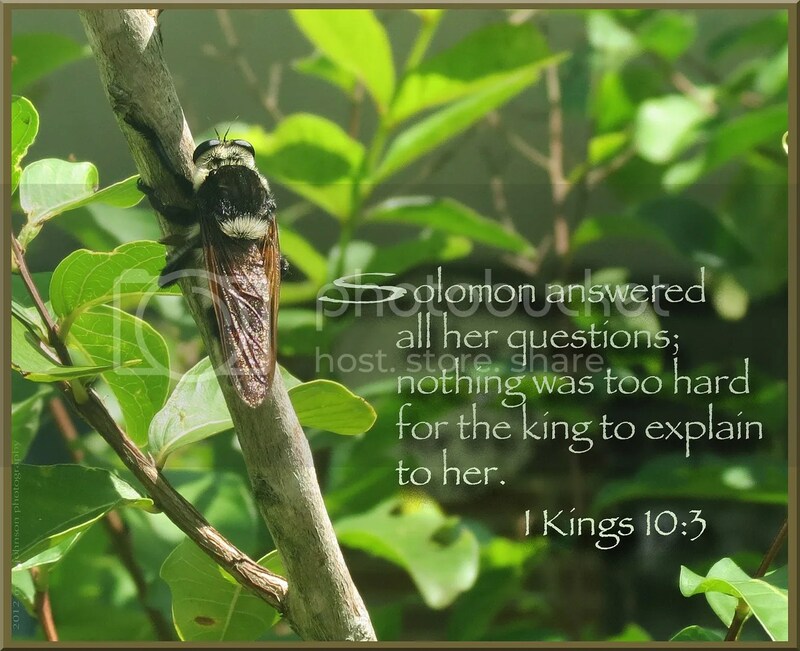 "Solomon answered all her questions; nothing was too hard for the king to explain to her." All of her what questions. All of her why questions. Though Solomon possessed great wisdom, all wisdom comes from God and it was God that granted it to him. There are some questions that ache from the deepest areas of our hearts, longing to be answered. Lifetimes are spent seeking the what and the why of this or that. We can ask God for answers and we can ask God for wisdom. Then, we must listen for His reply. I was standing on the steps talking, not really paying attention to my surroundings. Suddenly, I noticed a squirrel standing so very still on the top of the stairwall. The wall was covered in greenery where he sat, silent and cautious. 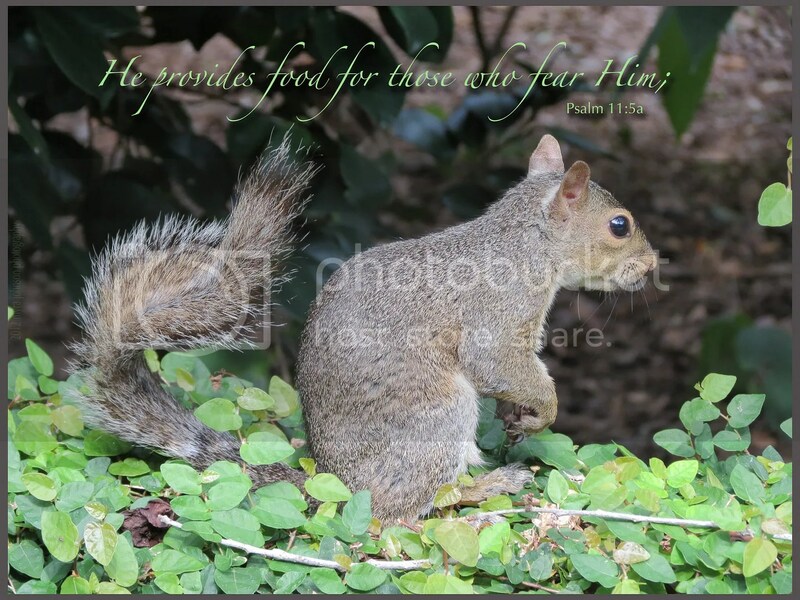 After a moment, he scampered off in freedom, perhaps to find his next meal. No matter what the weather is like, I am never concerned for the squirrels. God provides it for them. God provides for us, too. he remembers his covenant forever." 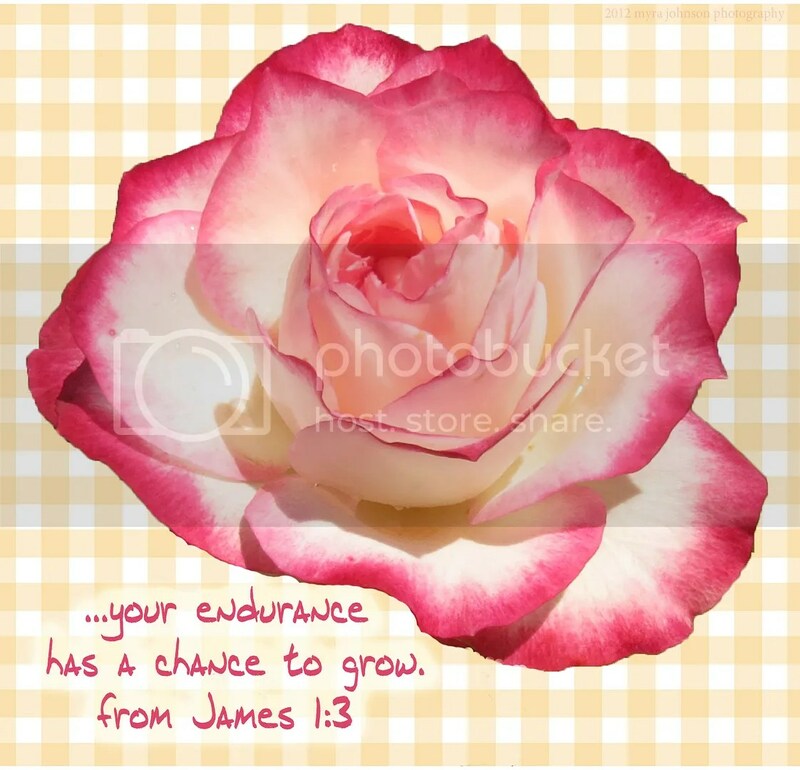 God not only provides us sustenance, He gives us everything that we have. Is there anything that we have provided for ourselves? If not for God, we would have nothing. Have you ever known someone who seemed to be walking in falsehood? First, let’s define falsehood: something that is untrue. When we "walk" in a falsehood, we are going about our daily lives in a state of untruth. Your self-worth–"I’m not important to anyone." Your passion–"I must be rich in order to succeed." Your knowledge of God–"There is no God." Falsehood can take on many faces. Each brings its own form of deception. In order to know real truth, we must seek it from our Heavenly Father. His way is the only way that we should desire. 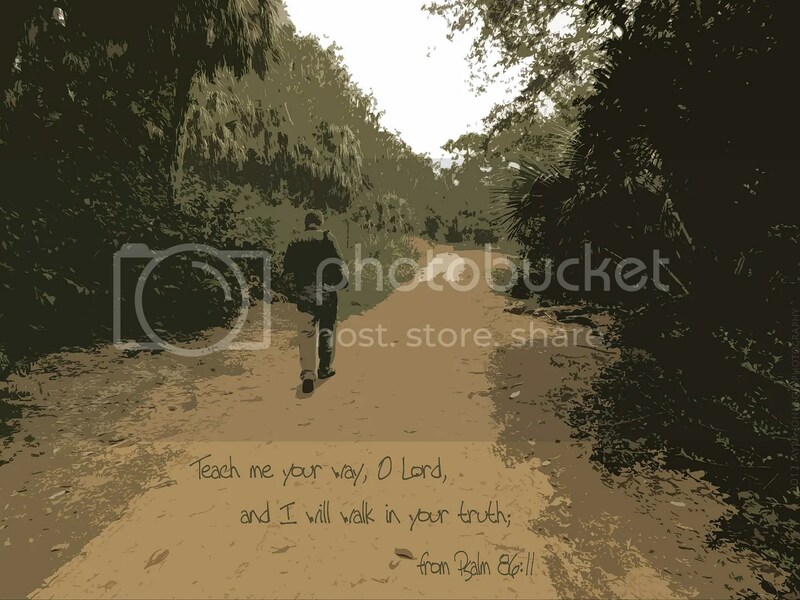 Walking in truth every day–isn’t that what we should want? Have you ever wondered what colors we will see in Heaven? 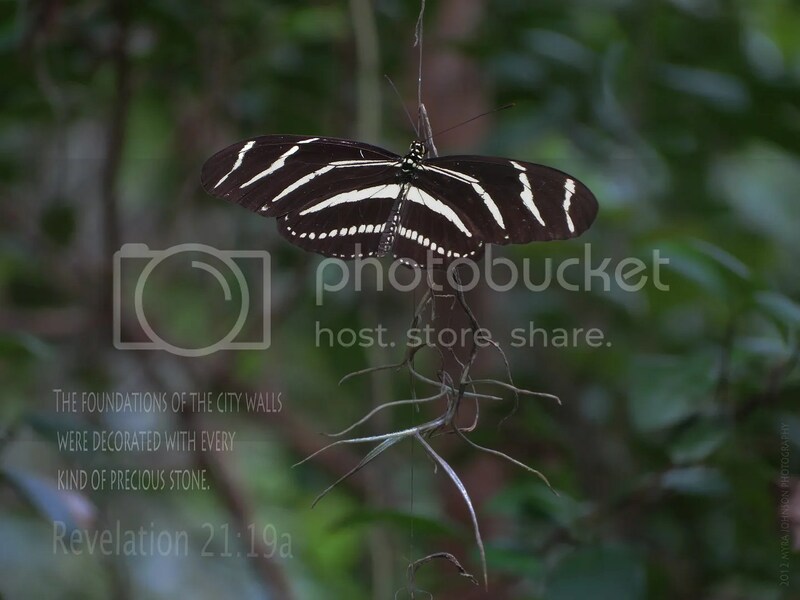 Yesterday, I photographed a Zebra Longwing butterfly. This type of butterfly is the "state" butterfly where I live. Zebra Longwings are thought to be able to see both visible light and ultraviolet light. With this type of vision, they would be able to see colors in flowers that are invisible to humans. Think about it–we share the same world, but the eyes that have been given to them by God can see and appreciate colors that our minds cannot perceive. If we are ever to see them, God will have to give us new eyes. Eyes that see in a different way. In Heaven, we will have new eyes. Don’t you think the streets of gold will be so VERY gold? The sapphires so INCREDIBLY blue? The emeralds so VIBRANTLY green? My Longwing friend could see a lot more than I could yesterday. There is coming a time when I will see all the colorful hues of Heaven as I am bathed in the light of God’s glory. There’s just something about an empty chair. If I walk by a rocking chair outside a country restaurant, there’s a tiny something inside me that wants to buy one so I can go home and begin sitting in it. Today, though not at a restaurant, I walked by a wooden Adirondack chair. If you’ve ever been standing for a very long time, then you know how wonderful it is to finally get to sit down. The fact is, we are "on our feet" with one concern after another, every day. We are upright and standing through difficulties, disappointments, challenges and heartaches that linger well past our reserves of strength. We need to sit a while. We need to regain energy if we are to go on. Jesus offers us that rest. 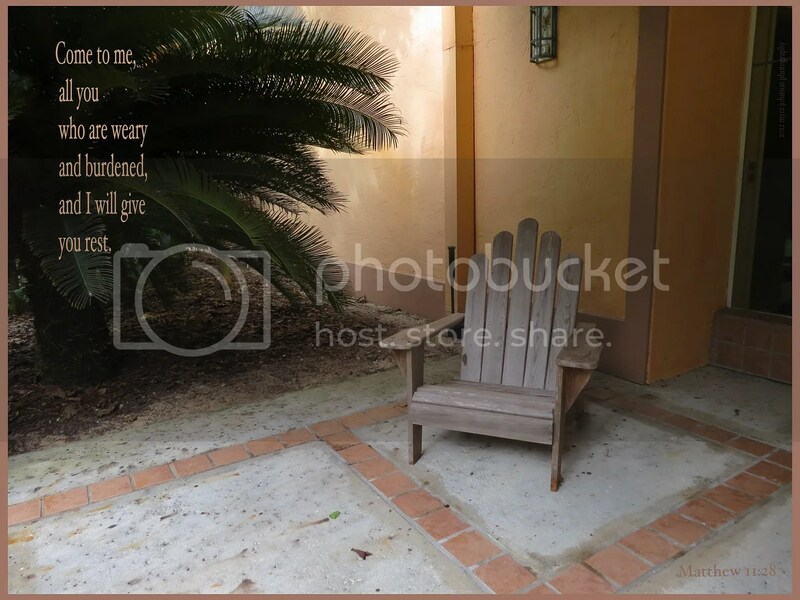 Like a chair waiting on the porch for us to come, Jesus waits for us to come to Him. Isn’t it time we decided to give our souls a rest? who has been appointed for you—even Jesus. 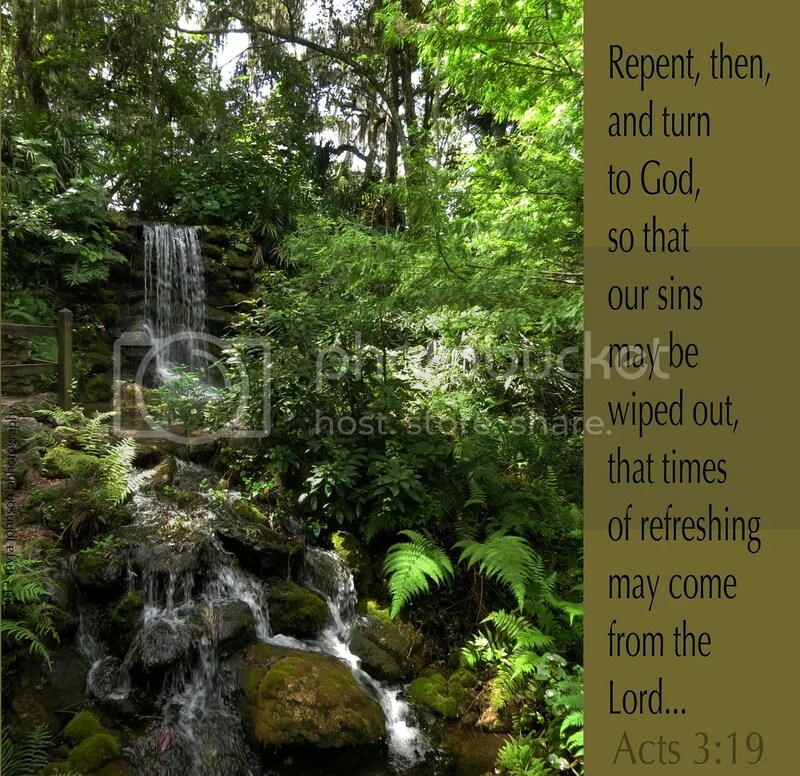 as he promised long ago through his holy prophets. It had been about a year since I had been on the bridge. Spanning high above the water, the tall cables stretched down like a giant stringed instrument in the sky. The vehicles on its pavement looked tiny in comparison to the vast expance of concrete and steel. Those driving along the bridge avoided the water below. Sometimes in our lives we find that we must take a different route in order to continue our journey safely. If we kept going the same way, things could get bad in a hurry. Changing routes and choosing the path God wants us to take is the best choice. We guard our lives by letting Him guard us. 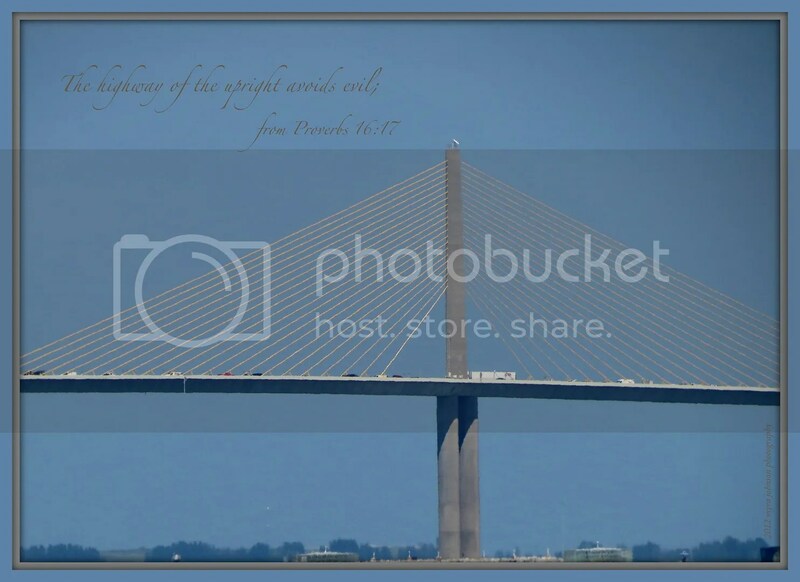 Choosing His way allows us to avoid evil, lifting us above it, like a bridge holding us high above the treacherous waters. When I think of a fortress, I can picture a place where there is protection from attack. Those who wish to bring harm try hard to break through the protective walls. Through the ages, such fortresses have been built. Some have held captors at bay, while others have fallen at the hands of the enemy. The amount of strength and the integrity of a fortress could mean the difference between life and death. Even if we do not face physical attack on a daily basis, we can certainly be facing spiritual attack. It can be blatant in nature as we recognize where it is coming from. It can also be insidiously cunning, as it sneaks into our consciousness. In either case, we need a fortress. One with absolute strength and integrity. A wall that that the enemy cannot break. God is that fortress for us. It could’ve been my house–almost. The structure before me was a thousand miles away from my childhood home. I grew up in a house built with wood. It sat on a block foundation and was wrapped with metal underpinning. The outside of the old house was painted white. Throughout the many years that I lived there, the color never changed. The roof was shingled and along quite a bit of the structure there were flowering bushes and plants. Childhood memories of the neighborhood with elderly folks sitting on their porches during the day are still vivid to me. There are other memories that are vivid to me, as well. Though troubled in many areas, my single parent Mom would read the Bible out loud to me every day. That same Bible is in my own home now. I remember how she would put the bookmark in every night at just the right page so she would know where she left off in her reading. Surely this daily reading of God’s word began a reverence and belief within my heart in a very special way. You may have had promises to you that have been broken. You may have made a promise and broken it. Just as likely, you may have had promises made to you that were kept. You may have made them and kept them, as well. When we make promises, we know that they can be broken. God, however, does not break His promises. 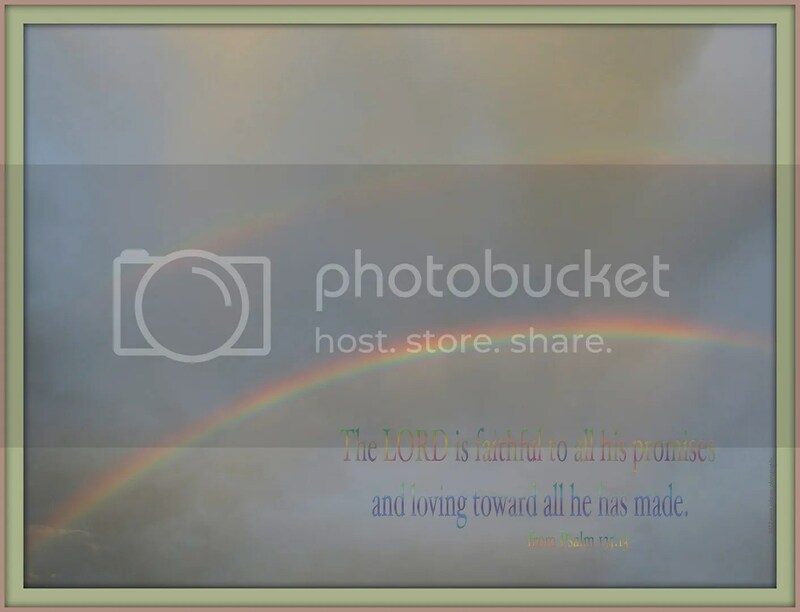 When we see a rainbow in the sky, it reminds us of His promise to never again destroy the earth by flood. It should also remind us that His promises—all of them—are true and unbreakable. The beauty in the sky is a testiment of God’s faithfulness, now and forever. 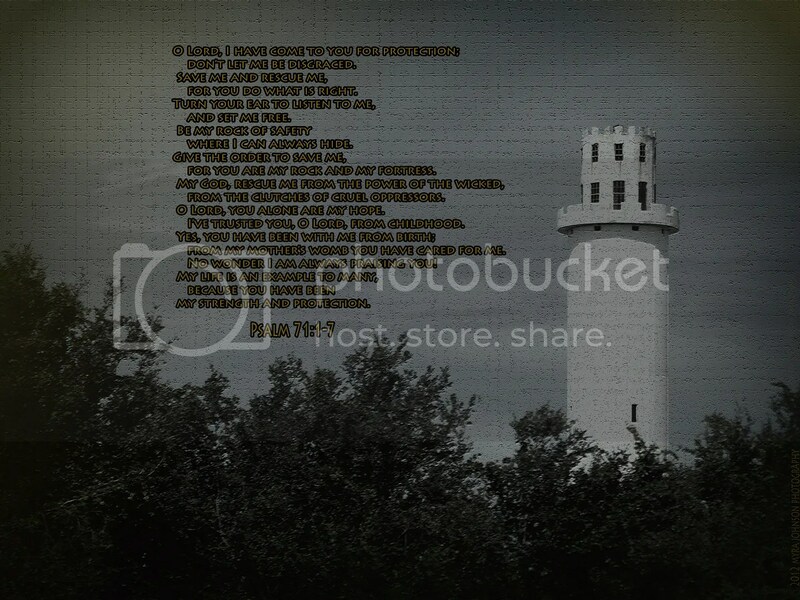 The lighthouse was across the water on an island. With its flashing light, it had served for many years as a protection and a guide to those within sight of its signals. Had it not been for the lighthouse, surely there would have been many who would have navigated into danger instead of safety. He leads us to safety, for all eternity. At sundown he arrived at a good place to set up camp and stopped there for the night. Jacob found a stone to rest his head against and lay down to sleep. 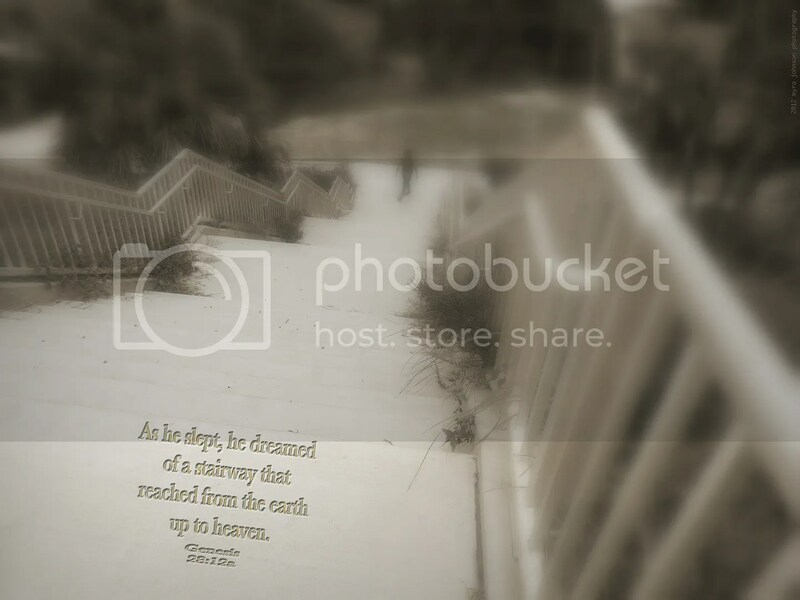 As he slept, he dreamed of a stairway that reached from the earth up to heaven. And he saw the angels of God going up and down the stairway. The osprey was sitting very high atop a tall, dead tree. I was able to take several photographs of him. They hunt and eat fish, build nests that are far above the ground, usually mate for life and care for their children as a couple. The small birds that hatch from eggs are dependent on their parents for food and protection. Apart from their parents’ lovingkindness and provision for them, they are helpless within nests perched at terrible heights. Who are we dependent on? As babies, toddlers and children, we must have the care of adults in order to survive. None of us would live, however, without the care and provision of our Heavenly Father. No matter what age we may be, we must depend on Him for His lovingkindness. 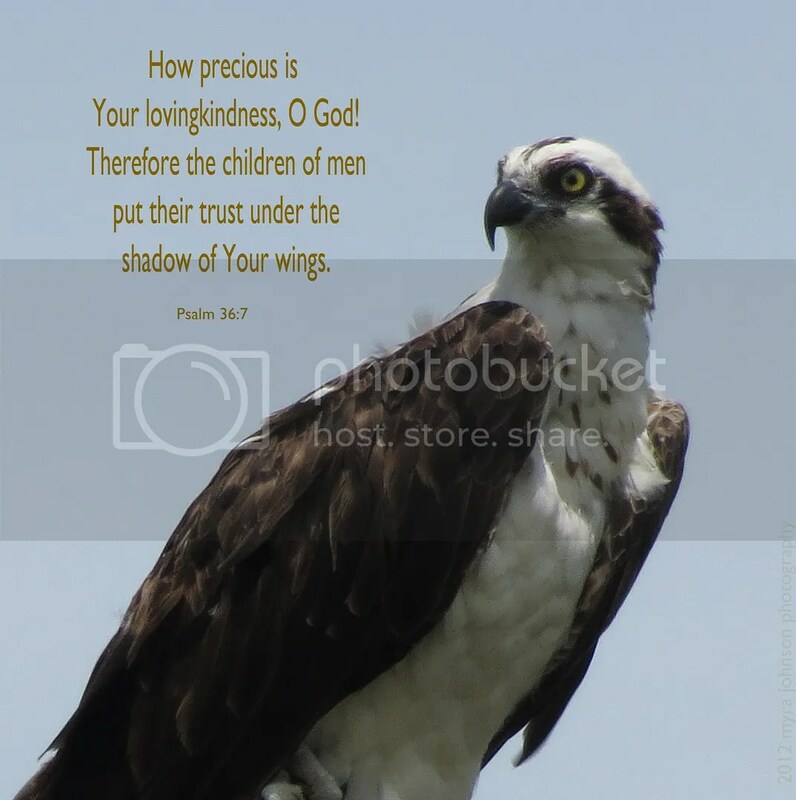 As the osprey babies know only to look to their parents for their needs, so we should look with trust to God for ours. Have you ever been on a trip and gotten lost? 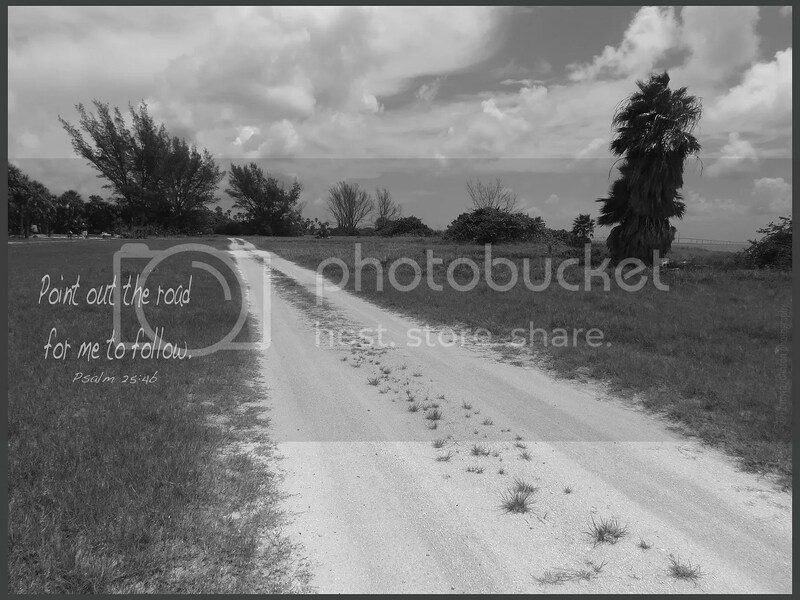 One road goes in a certain direction and another would take you on a different route. Have you ever been camping or hunting in the woods and gotten lost? Nothing but trees and rocks and wild animals for miles and miles. Have you ever stopped for a moment during your hectic day-in, day-out routine and realized that your life was void of direction? You may have been frightened, considering the confusion of so many choices and not knowing which way to turn. In all of these situations, God is there for you to turn to. God never gets lost; He will show you the right path to follow. My alarm went off at 5:50 a.m.
Only planning to be in the area for one evening, I intended to get up and see the full moon set over the ocean. When the alarm began to sound, I rose from the bed and turned it off. It was completely dark at the beach with only the light of the moon near the horizon. As I walked on the sand toward the water’s edge, fear was beginning to well up inside me. Many years ago, we took our only son at that time with us to a school sports gymnasium. He was only a toddler. When we entered the gym, he began to cry. I think the sheer expanse of the room with the towering ceiling gripped him with fear. He was so small and the building was just so….big. The same sort of thing was happening to me. Walking alone with my camera toward a bright light illuminating only a strip of waves directly in front of me made me feel extrememly small. For those moments, I was probably the only person on the shore for miles and miles. Darkness covered the majority of all that surrounded me. I began to think of God so that the fear would subside. Now, as I consider those moments, I am thinking of the awesomeness of God. 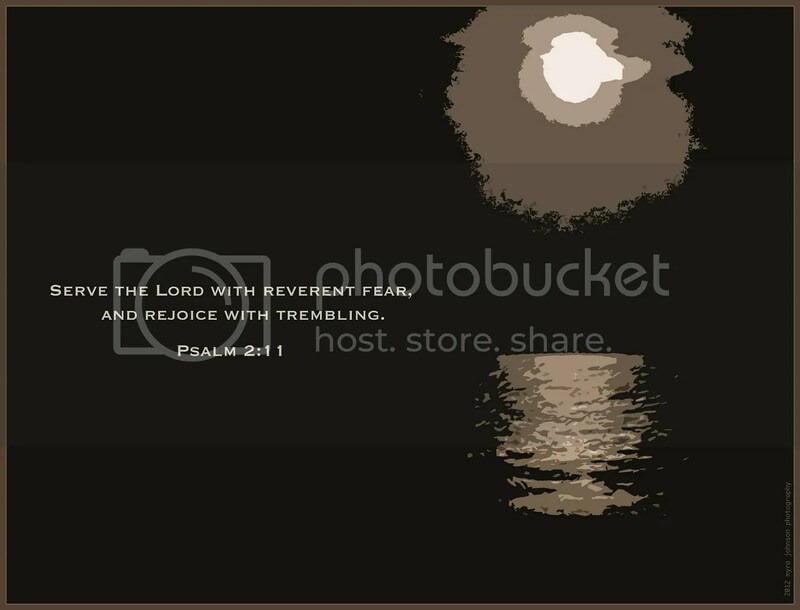 He is all powerful and mighty; we should think of Him with reverence. I have heard that fear and reverence are interchangeable in that sense. Being on the beach and feeling so small and singled out in the vastness of space, it was like there was no place to hide. That is actually the reality. There are no places to hide from the vision of God. If we accept His love and forgiveness, we are promised life. If we reject it, we have no hope. Is that a frightening prospect? Someday, when we die, our decision will go with us. He has redeemed us through Jesus—- if we will only believe. While touring an area of historic ruins, only a few of the buildings were left standing. Only remnants of an era were left to tell the visual story of the past. As I walked along, I could see part of a stone structure submerged in water. Powerless looking, the strength of the blocks laid carefully atop one another had succumbed to destruction. 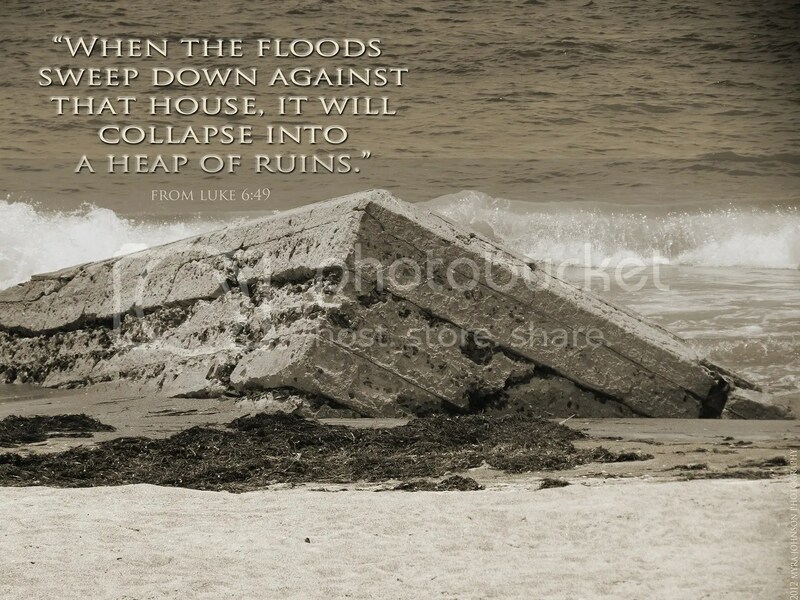 Don’t we want to stand firm when the flood waters rise? It will require digging deep and laying a foundation in Jesus. The sign read, "Butterfly Garden." Following in the direction provided by the sign, I came to an area with several types of plants in bloom. Alone, I walked along the path that led beside the various flowers. On a rock, I saw an extremely large skink. Flying in front of me was a huge wasp that lit on some tall blooms. The sign had not led me astray. In fact, I saw several butterflies as I quietly walked a long. There was such a stark contrast to the scene. While visiting a natural spring, I could see that the water was crystal clear. Fish could be viewed as though through clean, sparkling glass. 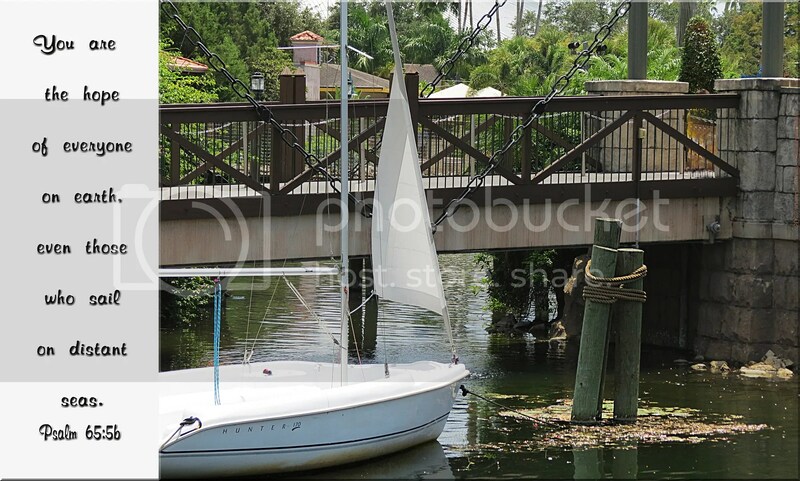 Vibrant, green trees and plants lined the water’s path. But there was something different—something that didn’t quite fit. A dead tree stood by the water. Barren and stiff branches that once held budding leaves now marked the sky with staunch rigidity. An image of lifelessness was surrounded by the fullness of life. The same ground that held the tree had brought forth new life in its place. A Bible story involving personal struggle, heartache, political deception and crime? For some time now, I have been a part of a small group of people who try to get together a couple of times a month or so to encourage one another, pray together and study the Bible. Last night, we began to study the Book of Esther. An account of God’s sovereignty, love, provision and care throughout every turn. If you have never read the book, I would encourage you to do so. It is found in the Old Testament. The story is that of a girl who was adopted by her uncle and forced by the government into incredible situations, ultimately being selected to marry the king of that country. She must trust God with her life and the lives of others throughout severe political controversy. She is advised by her uncle to speak out. Centuries later, God has not changed. Today, you and I must trust God throughout every happening in our world. God is still sovereign, no matter what happens. 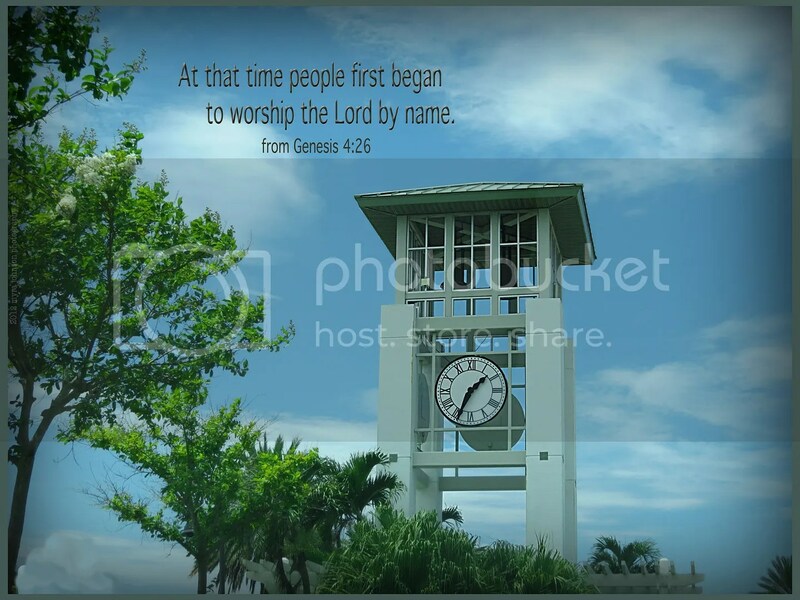 As I was entering a city quite some distance from my home, I noticed a tall, community clock in the median. It’s one of those structures that can’t be missed. Towering above traffic, it can be seen minutes before your actual arrival. Still, I think it is possible that many people do not take notice of what the structure actually is–a timepiece. It’s function is to state the time. What people do with that knowledge is up to them. Time is more than just moments on a clock, however. It is the arrival of existance over and over in continuity and in season. And what will we do with time, right now? What has God given us at any given time? What opportunity has He allowed us at the present point in time? Is it time to help someone in need? Is it time to be joyful? Is it time to work? Maybe it’s the time to discover who God is. Maybe it’s the first time that Jesus’ sacrifice has become clear to you. And through each of these, isn’t it time to worship God? In the Book of Genesis, we find that Adam and Eve had a son named Seth. Later, Seth had a son of his own and named him Enosh. God is present, day after day, keeping all of the universe in order, giving us our very breath. We couldn’t possibly miss God! 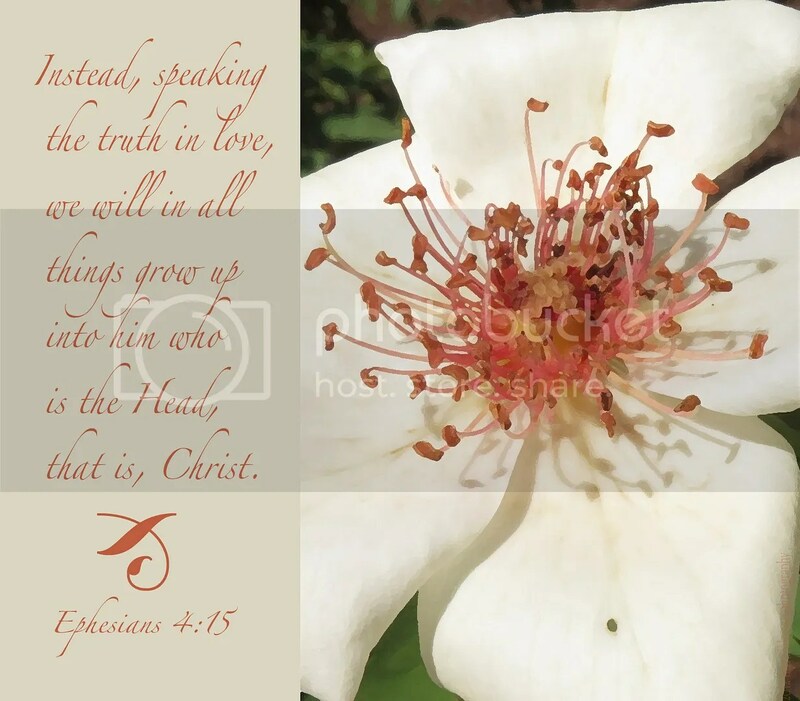 Is it possible that many people do not take notice of who He really is–our Heavenly Father, our Creator, our Lord? He calls to us to tell us that it is time. Time to believe in Him. Time to give our lives to Him. So, could you please tell me—-what time is it? The boat was long and the labor was certainly hard. Each of the five had a common goal–moving the craft forward across the advancing, relentless waves. I will most certainly never know. I do know that they were working together, likely motivating each other and enduring the physical stress of rowing as a team. Like the people in the boat, we are on a journey together–a faith journey. We are crossing the waves that never cease. The rowing is hard, but we must keep going, encouraging each other along the way. 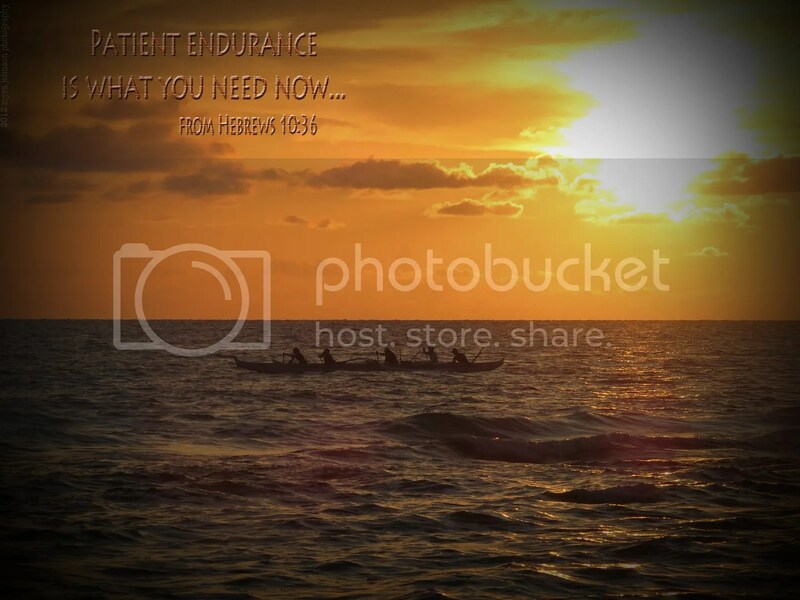 We need patient endurance so that we can continue doing God’s will. Saturday was a very hot and bright day. When the sun was overhead, I took a picture of it. Of course, the photo was mostly a washed out-spread out white light on a pale blue background. I decided to edit it and, just for fun, I took an extreme amount of light away from the photo. 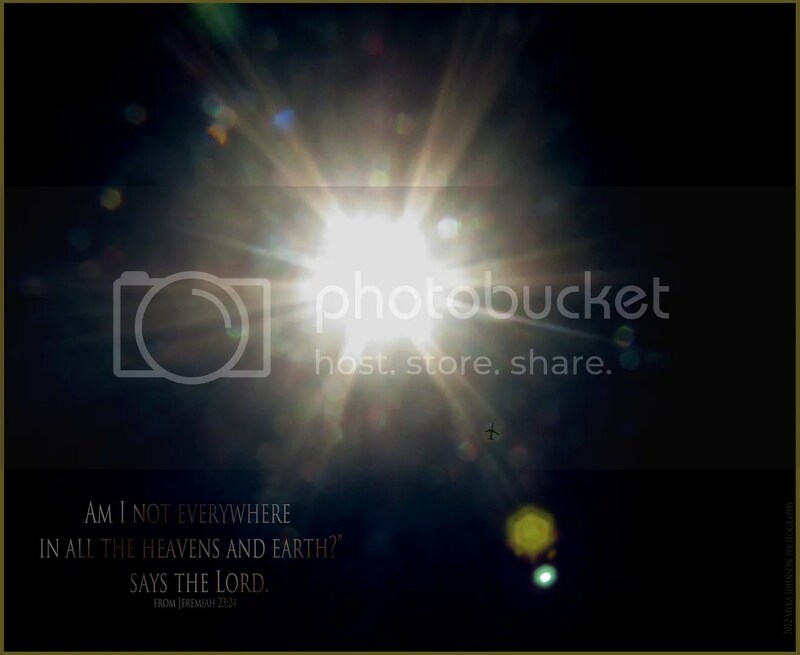 This left an interesting array of lens flare bubbles on a black background. Within seconds, I noticed it—–could it be? An airplane had been flying at a high altitude near the area of the sky where the sun could be viewed. I hadn’t noticed it in the original photo, but now, it appeared to be centered directly inside one of the flare bubbles! Current technology often amazes me. Medical advances, physics, communications, air and space travel—it’s beyond what I can thoroughly grasp. I simply accept what is available and benefit from the collective knowledge that God has allowed us to have at this period in time. And that’s actually the key point of it all; everything that is understood by man on the highest levels of science is but an elementary comprehension, at best, of what exists by the power of God. He is everywhere, holding all that He has authored and created in place. Have you ever been somewhere and thought, "God couldn’t be here," or "nothing good could come from this place." You may even look at events in your life this way. Your employer wants you to relocate to another city, but you don’t want to. Surely, God is not at the source of this offer…. Suppose you have a flat tire and that causes you to be an hour late for work. How is God a part of that? Yesterday, I was visiting an area attraction in a large, nearby city. I had been walking a lot and seeing a metal park bench, I sat down to rest. 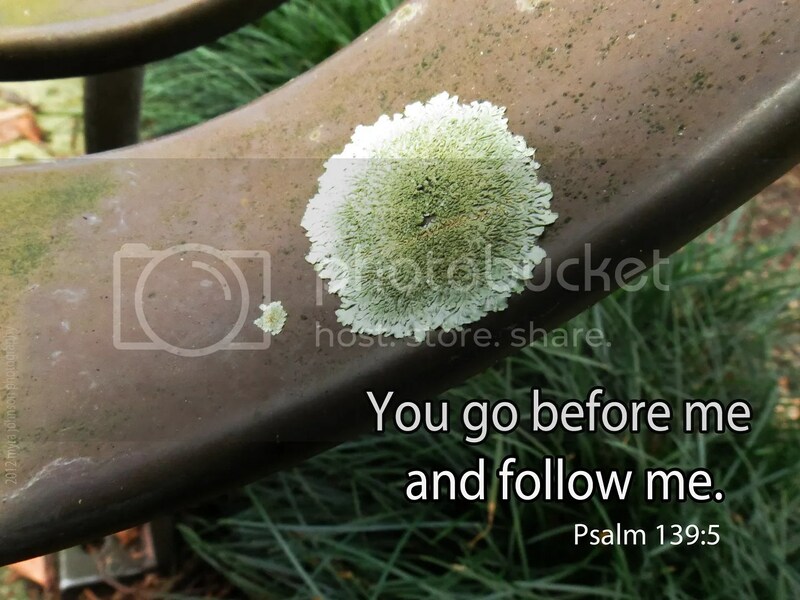 As I sat on the bench, I realized that lichen was growing on it. I am used to seeing lichen on tree limbs and rocks, but on a park bench? Now, that did seem odd. I photographed it, (of course) and I now know that it was Xanthoparmelia thalli. If someone had asked me prior to this experience if lichen would grow on painted metal, I might have said no. It would have seemed unlikely. But, there I sat, next to a nice, healthy form of "unlikely." I think that things in our lives often present themselves in a way where we are tempted to rule out God’s presence. Could God’s purpose for you and me ever be in an unlikely situation? 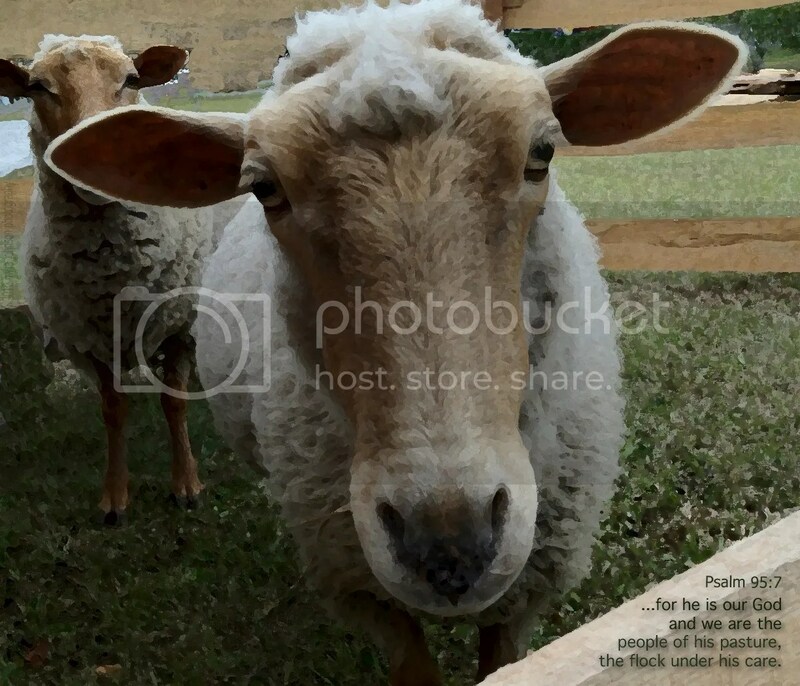 Could God’s sovereign plan for you or someone else ever include the unusual and unlikely? When you approach the next "park bench" situation in life, look around. Is God already there, growing His will and His purpose? I visited a beautiful lakeside park this morning. A squirrel near me found something to hold in his tiny hands to eat as I watched. Birds searched earnestly for food at the edge of the water. As I passed a large tree, I paused as a childhood memory surfaced suddenly. This tree had large roots forming a small space that a child could sit in. Because that’s exactly what I did when I was in elementary school. Coming from a highly dysfunctional home life, I often felt insecure and afraid. I sometimes stumble upon some keepsake school papers or books from when I was a young child. Looking at the unrefined handwriting reminds me that I was once quite small and fragile. Waiting on the admittance bell before school each morning, students had to remain outside on the grounds to go in. I would go and sit between the roots of a very large tree. It was comforting to have the roots surrounding me—protecting me, in a way. During my difficult childhood years, God began to reveal Himself to me. He listened when I prayed and answered me in ways that confirmed His presence to my little heart. 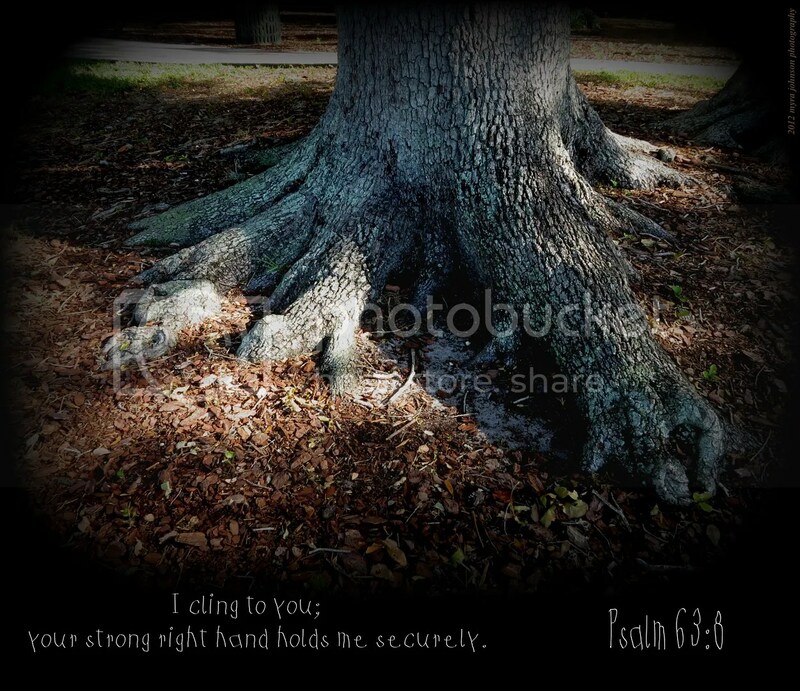 No longer finding the need to be comforted by strong tree roots, I understand now that it is God who protects me. 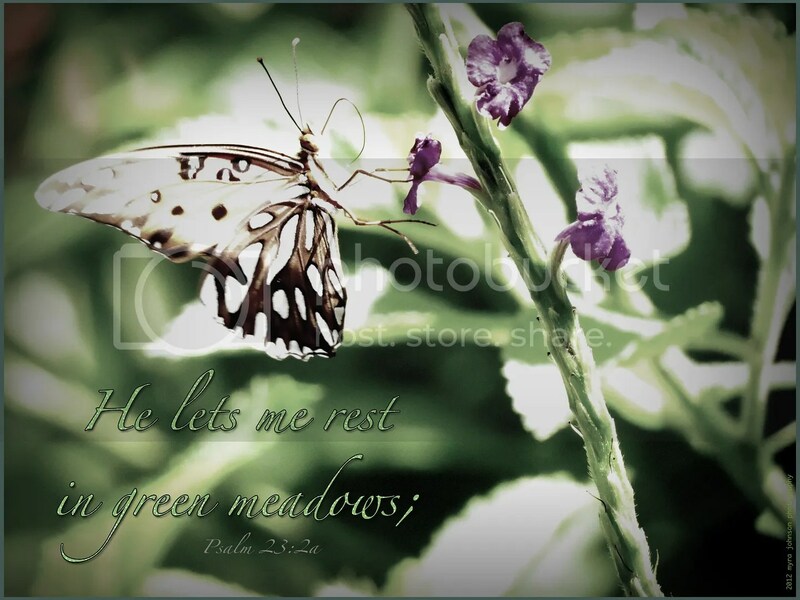 It is God who holds me securely. He saw me sitting alone between the roots of the old tree years ago. He sees me now when I am in need of comforting and reassurance. It’s hard for me to walk past a waterfall without photographing it. Actually, it’s hard for me to walk past a waterfall without stopping to look at it for awhile. Is it because they are so unusual? What about falling water catches my interest so? When I think of the Garden of Eden, it’s easy for me to imagine a waterfall there. Lush, vibrant plants and trees filled with life. Maybe waterfalls that I see remind me of the same thing. It could be said that the flow of water creates a sense that these are continually coming from a permanent source. It’s a comforting thought, isn’t it? God’s character is ever-flowing and eternal. He will never run out of love. He will never cease to be faithful. 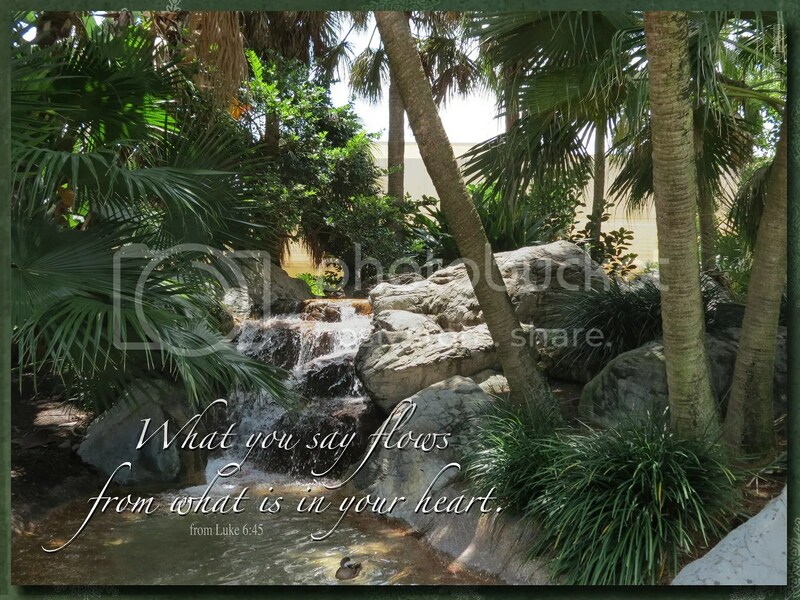 Do our words flow from within us, showing what is true about our hearts? Tonight I learned that God had answered prayers concerning some friends. Having learned of a need in that family, many people had been praying for a positive outcome. During the course of a week’s time, events seemed to "fall in place" in an ordered fashion, yet ordered in such a way as to be the work of God. This will be a source of testimony for this family and for those who prayed for them. 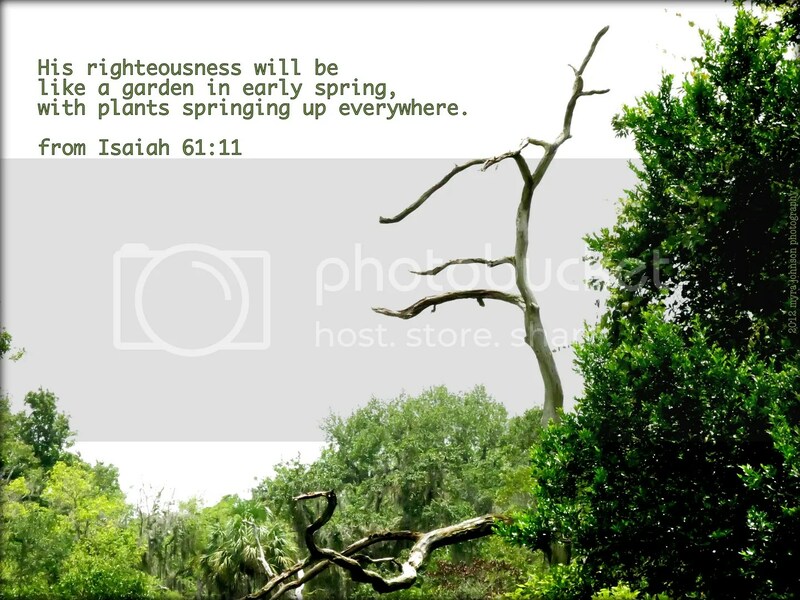 In years to come, the story of God’s faithfulness through these days will be recounted. God’s faithfulness reaches to everyone in the world. Does God care about people who live far away from you? 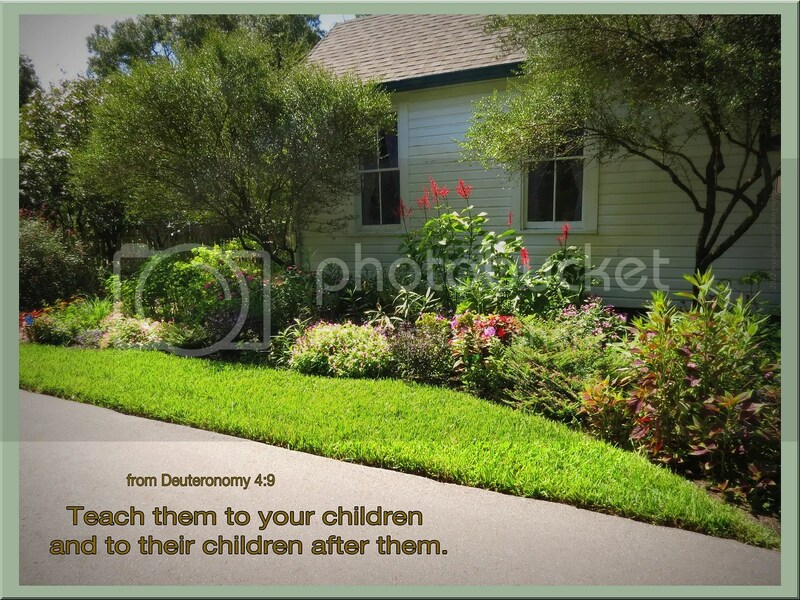 Does God care about people who live in your own neighborhood? The answer to all three questions is "yes."